Since the financial market can be unpredictable, investors are often looking for a “safe” place to invest their money where it can generate a stable monthly income with a reasonable chance of the principal being protected from a loss. Fixed-income alternatives can be hard to find, but there are some smart options available. One popular choice is to invest in single-tenant, NNN leased properties. These real estate investment properties are typically retail, office, or industrial buildings, and are leased by a single company. Generally, these leases are long-term and lock in the tenant for a period of 10, 15, or even 25 years. In addition, the leases usually have small annual increases (rental escalators) built into them which can provide the owner with a small hedge against inflation. In commercial real estate, different types of leases are used depending on the needs and desires of the tenant and the landlord. The most common types of commercial leases are NNN (“triple net”) leases and full-service leases. When a company uses a full-service lease, they pay a flat rent to occupy the space, while the owner is responsible for all maintenance and pays all property taxes, insurance, and other ownership expenses. A tenant in an NNN lease assumes responsibility for rent, real estate taxes, insurance, and maintenance, leaving the owner free of all of these responsibilities – giving the owner a “net” rental payment each month. Many investors today are looking for management-free real estate investments. They no longer want a property that requires supervision, maintenance, and tenant leasing responsibilities. This is why single-tenant occupancies are generally much easier. This is an appealing option for a wide range of investors including individuals who have sufficient net worth. Net Lease properties are also a very attractive option to investors who are in search of 1031 tax-deferred exchange properties. Some investors compare an NNN Lease to a bond, since the leases are typically backed by the full faith and credit of the tenant company and provide regular distributions (in the form of monthly rental payments). Although Net Lease properties are not without risk, a mutually agreed long term lease can mitigate some typical risks and costs common with other types of properties such as frequent tenant-rollover, partial vacancy, and leasing commissions. Additionally, investors can focus on acquiring properties with high-credit quality tenants and corporate backed leases. As with any investment, a net lease property does have some risks. However, by dealing with high grade credit tenants on long-term leases which put the financial burden onto the tenant for maintenance, repairs, insurance, and other expenses, investors can minimize some of their exposure to the usual real estate investment risks. The market value of a single-tenant NNN lease asset is derived from a number of factors, including the length of the lease, the increases in rent over the lease term, the tenant’s creditworthiness, and the location and quality of the real estate itself. 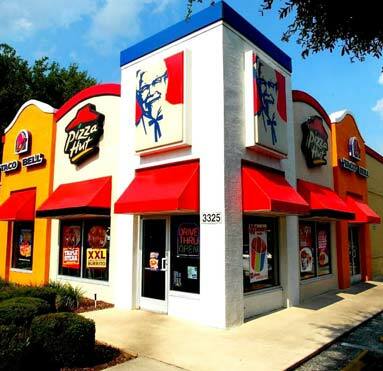 Any time can be a smart time to start investing in NNN Lease properties. Our professionals typically have properties available priced at less than $1 million to more than $10 million. We’ll help you find the right property to fit your investment objectives. Contact us today for more information on currently available net lease investments.